Welcome to my ‘Products’ Page. (I also have a separate web-shop, which allows a safe environment to do ‘shopping’ on the internet.) Over the next few months, more and more parts will come available as my production side of things kicks in. Manufacturing anything, by whatever process, requires a certain ‘lead time’, and so it is with motorcycle parts! Some parts will be made elsewhere under contract, but most will be done ‘in house’. 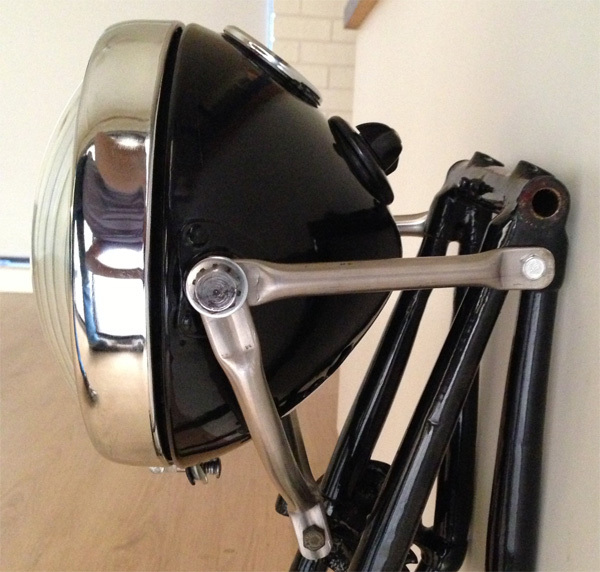 ‘STAR’-pressing for Velocette rear lights from Miller, as fitted to later rigid models and early LE. Polished Stainless-Steel. To replace the ‘STOP’ pressing supplied with the readily available pattern lights by EMGO. (My part pictured below) All parts checked by me, by hand before packing and delivery. Absolutely 100% money back guarantee if not satisfied and parts are returned in unmolested condition. Swap your ‘STOP’ for a Star! Headlamp brackets for the 8 inch headlamps, in full round (i.e. tubing). Stainless steel, 1.6mm thick. The originals were pressed mild steel (so ‘half-round’), which tended to vibrate and, as a result, crack the finish and corrode, they also suffered from ‘brewer’s droop’ after a while. These will neither corrode, nor droop. Supplied in bare metal, so that you can finish as you wish in Black (Standard), Olive (WD Machines) or even polish for ‘chrome wars’! Some of the Webb girder fork parts. Top and bottom yokes for most models after 1936, top links for almost all models, and bottom links for some models, still to be decided. Eventually I intend to make all the castings necessary to make all the heavyweight forks, with both single and double-sided dampers. 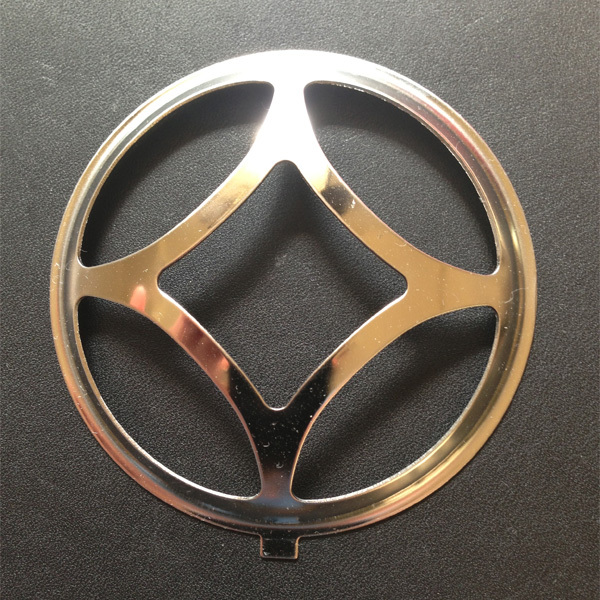 Top quality materials, all castings will be quality-controlled and tested. No shortcuts here, EACH PIECE will be tested, not batches. Rear stand, complete (FK171/7) for later rigid-framed Velocette models, with triangulation as for the later models, cast in high quality steel (not iron) and TIG-welded together. guaranteed to fit and last. Solid brass handlebar-levers, complete. Straight-pull type (KC 16/2, /3), long and short types. 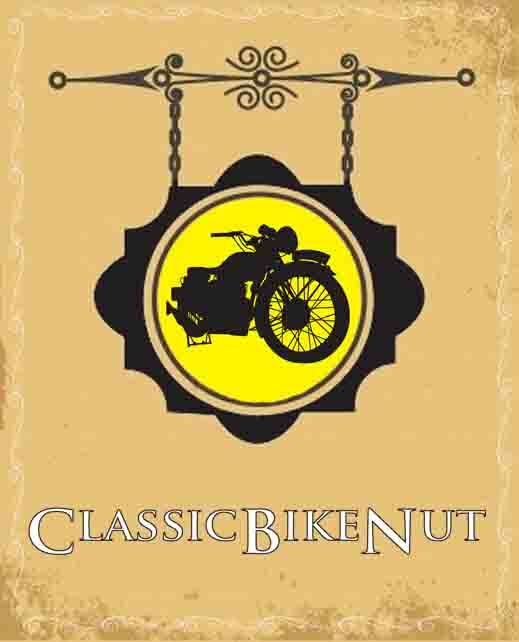 With 1 ⅛ inch between centres suitable for use with Velocette clutches. Initially only with ‘vertical’ split on handlebar mounting. Copper-nickel-chrome finish. Brass handlebar lugs (39F) (or ‘risers’…) for Webb Yokes, for ¾ inch bars. Brass, copper-nickel-chrome finish. Suitable for K models. Also available later in steel, either bare-metal or chromed. 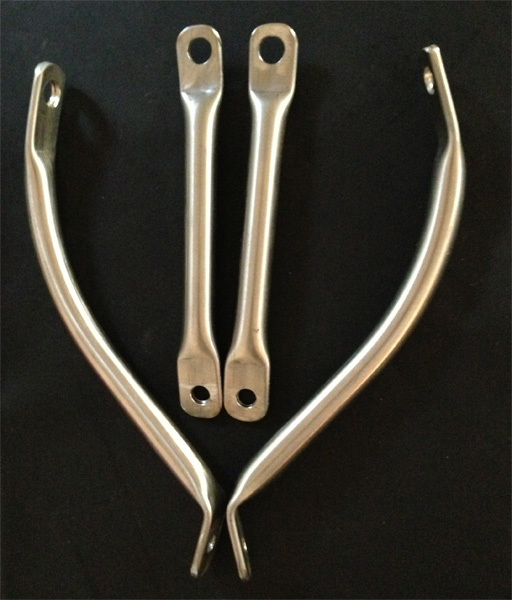 Mudguard stays for front and rear, KSS, KTS and rigid MSS/MAC models. Stainless steel, black powder-coated. HID headlight-bulb conversions for all lights of any diameter. Available in 25W and 35W. Sorry, only 12V. 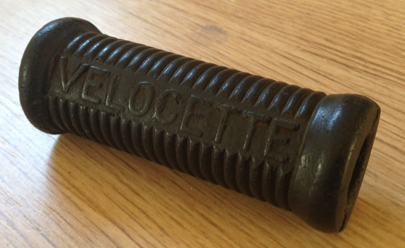 Presently only available for reflectors with H4 bulb fittings, watch this space! True-to-original Miller reflectors and headlamp glass, interchangeable with original part. NOT Lucas pattern lens OR reflector. Direct replacement, no modifications necessary to use with original equipment. The original bulb fitting and sidelight electrical contact will all work without having to re-wire or re-position. 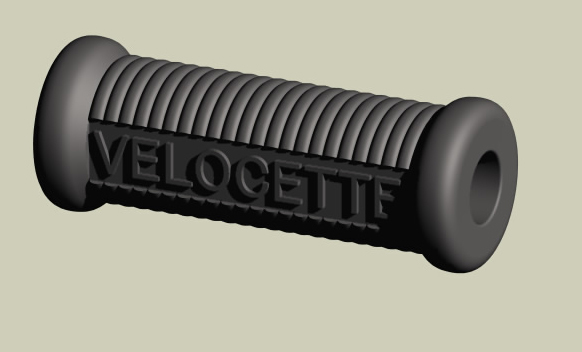 Already finalised and checked are CAD/CAM construction/drawings of the old Velocette B60 gear-change and kickstart rubber, with two open ends, AS ORIGINAL. None of the modern repros are like this, for whatever reason, all being closed off at one end. This means not only that they are wider, but also that the kickstart-Rubber is prone to fall off the end after a while! These will be made in Neoprene, so as to remain flexible enough to get on when new and yet be very resistant to wear and environmental influences, wherever you live! !